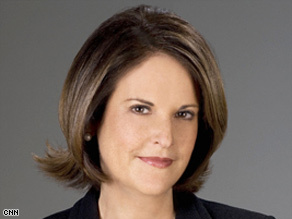 Editor's note: Gloria Borger is a senior political analyst for CNN, appearing regularly on CNN's "The Situation Room," "Campbell Brown," "AC360°" and "State of the Union With John King," as well as special event coverage. Gloria Borger says Democrats seem to be aiding the GOP in its attempt to defeat President Obama on health care. WASHINGTON (CNN) -- It's always hard to be optimistic about the passage of any kind of health care reform. After all, history shows that for much of the past century, most attempts to reform the system have failed. There have been some exceptions -- such as Medicare in 1965. But, for the most part, the political will has been insufficient to move anything. Just ask Hillary Clinton. He has held health care symposiums and town halls, met with recalcitrant conservatives and moderates, and kept tabs with congressional leaders on their progress. And Wednesday night, he'll take the issue to the country in a prime-time press conference. The strategy was forthright: Since the country has debated this issue for decades, there's no need to redo it all. And don't write a bill like Clinton did so Congress can spend its time picking it apart. Rather, let the committees (five in all) move their bills and reconcile them until the House and Senate each has a product. The president weighs in when the two chambers try to reach agreement on a final bill. Ah, but this is Congress we're talking about. Should it be any surprise that some congressional Democrats -- having suffered in the minority under a Republican president -- have decided to unleash their inner liberal? No matter how badly the GOP opposition behaves -- and no matter how bereft it is of ideas of its own -- the Democrats seem happy to aid Republicans in their one clear goal for Obama: defeat. The president has called for cost controls above all else in health care reform. He even wants to take Medicare spending decisions out of the political arena and put them in the hands of the docs and technical nerds, who actually understand where real cost savings can be found. But that would require Congress to relinquish some power, so it hasn't happened. Instead, Obama's Democrats have so far given him higher costs (according to the Congressional Budget Office) and higher taxes. Or, in technical parlance, the same-old, same-old. One House version of health reform passed last week proposed a surtax on households with adjusted gross incomes of more than $350,000. It was enough to prompt an intervention by House Speaker Nancy Pelosi, who changed it to $1 million for joint filers -- so it could be called a millionaire's tax. Have they asked Obama -- the change agent -- whether he really wants Democrats to get back into that old class warfare argument? The trouble for Obama is that he's getting tethered to some of the bad ideas the Democrats propose because he hasn't denounced them. We know that he's cool and patient, but maybe his drooping recent poll numbers will cause him to start drawing some lines in the sand. Americans still like their new president, but they're clearly wondering why he has let congressional Democrats inhabit his body. In a recent Washington Post-ABC News poll, for instance, approval of his handling of health care has slid from 57 percent to 49 percent since April. And the Democrats' foray into taxing the rich hasn't done Obama any favors, either: Just one month ago, voters earning more than $50,000 liked Obama more than the GOP on health care by a 2-1 margin. Today, those voters are evenly split. And independent voters -- the key to Obama's electoral success -- are leaving the flock. In April, 57 percent of independents approved his handling of health care; that has now dipped to 44 percent, and 49 percent disapprove. All of which is not catastrophic, but it is a problem. And it's not a problem the Republicans have created for Obama, although they will no doubt try and take credit. In truth, it's something the Democrats have done all by themselves. No Republicans needed. During the campaign, candidate Obama waxed eloquent on the importance of bipartisanship, of turning the page on the politics of the past. "We need to stop the partisan point scoring and the petty bickering that serves the needs of politicians but not the needs of the American people," he said in September in Pueblo, Colorado. "... I'm running for president because that's the kind of leadership we need right now." Yes it is. And how about telling that to the Democrats?